For the first time in 130 years, FLSmidth, a Denmark based, market-leading supplier of equipment and services to the global minerals and cement industries, has promoted a non-Dane to its executive leadership team. Peter J. Flanagan has been selected to serve as a member of group executive management, and as executive vice president of FLSmidth’s newly formed non-ferrous division, which provides advanced minerals processing technologies, systems and solutions to the global mining industry. Flanagan, who is originally from Greenwich, Connecticut, US, has worked in the mining and minerals processing industry for more than 25 years. Formerly, he led FLSmidth’s mining activities in the Americas. Now he takes the reins of FLSmidth’s largest division, with an order intake of more than $1.8 billion booked in 2011. "Promoting Peter to this executive management position is part of our new global strategy, and will significantly strengthen our group structure," said Jorgen Huno Rasmussen, Group CEO. "We look forward to his contributions leading the new division, and working with us on the executive level." 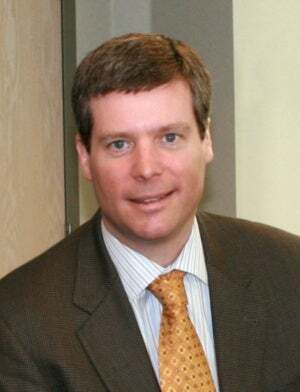 As the division head, Flanagan, 46, will work out of the FLSmidth minerals technology center headquartered in Salt Lake City, Utah. He will oversee the work of 2,800 employees in more than 20 countries, on six continents. Flanagan is a mechanical engineering graduate of Lehigh University, Bethlehem, Pennsylvania. "FLSmidth has great people and great technologies. We’re experiencing tremendous growth as we deploy these key assets into industry-leading production systems and full life cycle support for miners and minerals processers," said Flanagan. "I’m excited to be a part of this talented team, and look forward to the ongoing opportunity to be our customers’ one source to unlock their mineral resources sustainably."